You may now transfer a scout's information between any two units who use TroopWebHost. 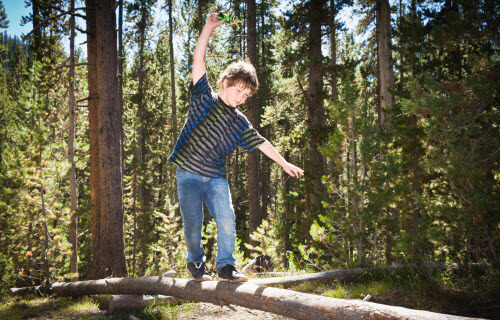 This handles Cub Scouts who are crossing over to a troop. It also covers Boy Scouts who are moving to another troop. It's a simple, two-step process that only takes a few seconds for each unit! 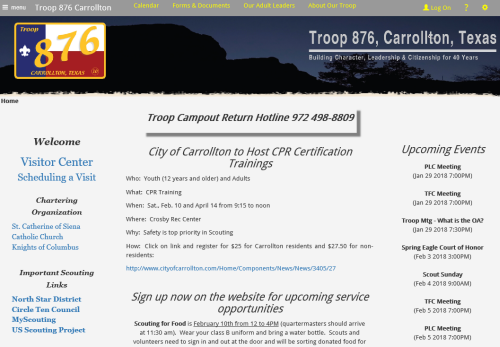 Troop 876 of Carrollton, Texas! Their professional looking banner gives the home page a lot of class. And like many of our recent winners, the rest of the public site is focused on recruiting new scouts. Their home page links to their custom pages, making it easy to schedule a visit or get important background information. We especially liked their "Visitor Center" page, with dates of upcoming meetings to which Webelos are invited and a slide show of troop activities.